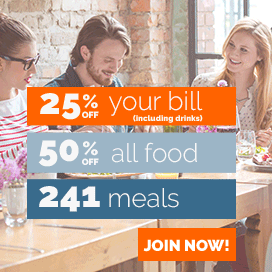 Dine and this website are owned and operated by Rocket UK Ltd (‘We’, ‘us’, ‘our’) and is designed to offer members discounts or added value offers on restaurant meals nationwide. 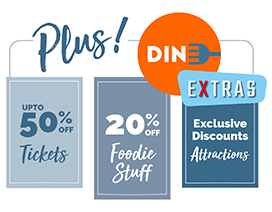 Dine Extra’s, part of Dine, is designed to offer members a range of lifestyle related discounts. These are the terms and conditions on which Dine supply Dine memberships and you become members of Dine. Further details regarding Dine can be found on our website www.dineclub.co.uk. Before purchasing a Dine membership you will need to read and understand the terms of this agreement. By purchasing (or activating a pre-paid / gift) membership you agree to be bound to these terms and conditions. We reserve the right to amend these terms and conditions at any time, and notify members by posting the amends on our website. Members will be subject to the terms and conditions in place at the point at which they purchased their Dine membership, unless any change to these terms and conditions is required to be made by law. By placing an order for a Dine membership, you warrant that you are at least 16 years old and capable of entering into a binding contract. Your Dine membership card (where applicable), and/or website/app account are provided to you for your personal use only. a. Your Dine membership is personal to you and use of this service is for the registered named member only, and is strictly non-transferable. A valid membership card or app account will be requested by the restaurant providers at time of redemption. b. You must not share your access/log in details, card/membership number, discount codes or vouchers with anyone else, or place or allow the placement of this information on any social media site, any printed material or other media. Those doing so risk termination of their membership with immediate effect and with no option for a refund. c. You may not modify, copy, distribute, transmit, reproduce, publish, license, transfer, or sell any information, software, products or services obtained from this Website or app in any way or in any media. a) As a member, you will be able to access discounts provided by our restaurant partners. b) These will be available to members that have either registered and paid for a subscription or have taken up a promotional trial membership. c) Discounts vary by restaurant but typically will be 25% off the total bill including drinks, 50% off the total food bill or 2 main courses for the price of 1. (The cheapest item in each course will be provided for free) From time to time members may also receive additional added value offers or tactical offers from our partners. d) Some offers are available all week long whilst others are only available from Sunday to Thursday. e) Please check website details on the individual restaurant for the specific details of their offer. This will include which days of the week the offer is applicable, how many meals or people the discount will apply to and whether more than one card can be used per party. f) Unless otherwise stated Dine discounts do NOT apply to take away or food for collection, they are only for eat in dining occasions. 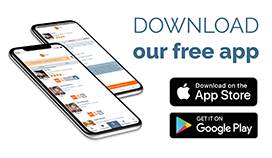 g) To use the card (or digital card on your app), please contact the restaurant and book a table mentioning that you are a Dine member, then at the end of the meal present your Dine Card or Digital Card (via the Dine App) and the relevant discount will be applied to your bill. h) We are sorry but the Dine membership card or digital card must be presented to receive the discount and it cannot be used in conjunction with any other offers or special promotions. i) The Dine site offers a variety of restaurants and meal discounts, deals and benefits with and from carefully chosen third parties. Whilst we have used our best endeavours to source and maintain accurate information on these offers, we cannot guarantee the accuracy of such information at all times. It is your responsibility to check details such as pricing, locations, discount details, the need for pre-booking and other restrictions before ordering. Any discounts shown are given as an indication only and from data supplied by the restaurant at the relevant time. We cannot make or give any warranties, guarantees or representations concerning the services provided by any of the restaurants. j) Sometimes restaurants details or particular offer details have to be withdrawn, cancelled or amended due to circumstances beyond our control. Where possible we will always seek to communicate this information to members but we shall not be liable for such changes or restaurant that refuses to honour the stated discount or offer or changes details. If you have received a corporate or promotional membership, the card will be valid for as long as Dine receives instruction from the corporation to keep the account open. These are not rolling contracts and are received for free. You can also become a member of Dine in a number of ways. a. Sign up for a free trial plus a monthly digital subscription, on a rolling monthly contract. b. Sign up for a free trial plus annual subscription, chargeable at the end of the free trial. Customers must cancel this promotion or free trial prior to the end of the free trial if they do not wish to continue membership, otherwise they will be charged the annual membership fee. c. Sign up for a gift membership where customers will pay the annual membership fee upfront and will receive a 12-month membership for either themselves or a family member/ friend. d. Through a promotional or trial period where customers enter their card details at www.dineclub.co.uk to receive the stated promotional or free trial period. Customers must cancel this promotional or free trial prior to the end of the free trial if they do not wish to continue membership, otherwise they will be charged the annual membership fee. If you have been given a complimentary membership or received a free membership as a promotional offer, it will not automatically renew. a. Your Membership of Dine is valid for 12 months from confirmation of your account and will be automatically renewed at the applicable fee - as detailed at the time of your initial registration or via any subsequent notices. c. You must inform us of any change to email or postal address where necessary, and update any billing information as appropriate. Membership Cards shall remain our property at all times, and may be renewed, cancelled or annulled as per Clause 6 &7. Members seeking a replacement card/code due to loss, theft or damage, may do so by calling Customer Support on 01273 668831. A fee may be applicable for replacement cards or codes. Physical cards for certain promotions may require a small fee to cover admin and postage costs. Promotions include, but are not limited to free memberships and memberships with a free trial. We believe that membership with us offers excellent value, however, if you wish to cancel your initial membership, you must do so within 14 days of your initial date of payment (the "cooling-off period"). Contact us on 01273 668831 (Mon-Thur 9am-7pm and Fri 9am -5.30pm) or email enquiries@dineclub.co.uk. You may be asked to return your full membership pack and card (unused) to us within a further 14 days, you will receive a full refund of your membership fee. Subject to any other statutory rights you may have, we do not provide refunds for any cancellations after the cooling-off period has expired. You can cancel at any time during a month, no pro-rata refunds will be given. You will be able to use the membership up to the end of the fully paid subscription month. As indicated in Clause 5, your annual membership will be renewed automatically. If, however, you do not wish to renew your membership you should contact us on 01273 668831 (Mon-Thur 9am-7pm and Fri 9am -5.30pm) or email enquiries@dineclub.co.uk at least 3 working days before the end of your current membership period. Any renewed memberships where payment has been taken will be subject to the 14 day “cooling-off period”. Monthly subscription renewals can be cancelled at any time during a month, no pro-rata refunds will be given. You will be able to use the membership up to the end of the fully paid subscription month. Gift memberships will not be renewed. This Website contains links to third party websites, web pages and services. We do not control these websites and before you provide any information to them, you should read the Terms provided by the third-party sites. We are not able to accept any responsibility or liability for any third-party websites and your access and use of such websites or services is at your own risk. Although we make reasonable efforts to ensure the validity of all offers at the time of publishing, we accept no liability for any restaurant that refuses to honour the advertised discount or promotion. In addition, you warrant that your use of this Website and Dine app is for lawful purposes only and you shall indemnify us against all claims, losses, liabilities, costs, damages and expenses incurred by us due to any breach by you of these Terms. We reserve the right to change these Terms at any time. For this reason, we recommend that you occasionally check the Terms for any changes that might affect you. All disputes arising out of or relating to the use of this site and Dine shall be governed by English law and the exclusive jurisdiction of the English courts.